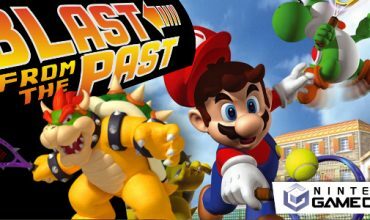 Mario, his friends and foes have entertained us in Mario Party board games since the late 90s and have all come with that typical Nintendo flair for understanding what makes a game enjoyable. Unfortunately, Mario Party 9 will be remembered for being the game in the series that popped all the balloons and steered it in the wrong direction. New to the series? 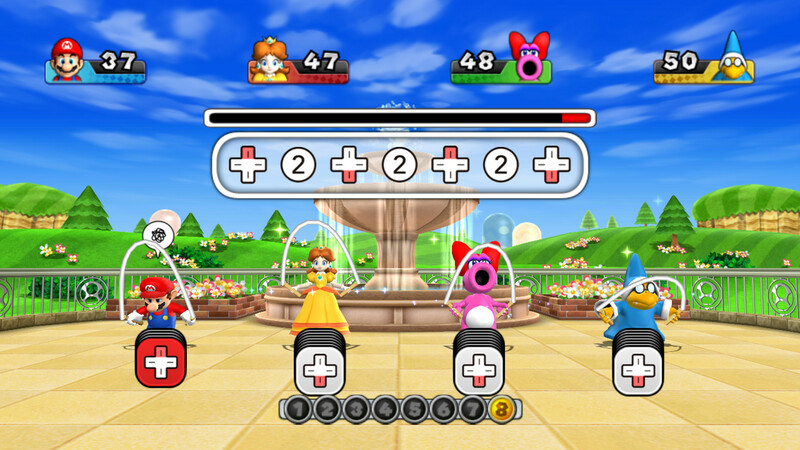 Mario Party is a virtual board game where up to four players can battle it out in various mini-games to earn the most stars and be the victorious player. What made these board games so entertaining over the years is that you never quite knew who would win any game right up until the last turn. Anything is possible in a Mario Party game and that’s exactly what happened when Mario Party 9 launched on the Wii in 2012. It was a big change for the series. 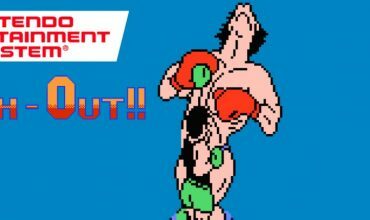 After eight instalments things had got a bit repetitive and instead of sticking with the tried and tested formula, Nintendo mixed things up a bit. In total there are seven boards (one of them being unlockable) and your moves on the virtual spaces are decided by the roll of the dice. A lot of luck is involved, but also skill. Where previous Mario Party games had players rushing to get to the gold star first, here it’s completely removed. Instead, various mini-stars can be gathered along your journey. Obtaining those are not difficult at all and as a result, it makes it a much less fulfilling experience. Collecting 10 new mini-stars compared to one big gold star, that is hard to come by, changes the urgency in the game and thus the overall interest to come out victorious at the end game will often have the number one player miles ahead of the competition. 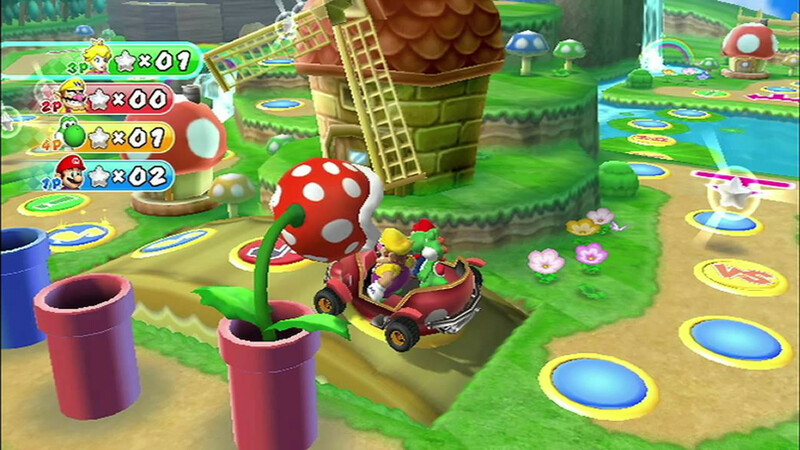 Mario Party 9 comes packed with 12 characters to select from, all based in the Mushroom Kingdom. So don’t expect to see other characters from another universe appearing in this series (like Link, for example). 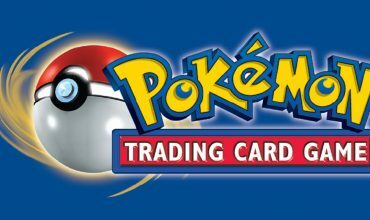 They do not come with anything special, other than being your preferred visual representation in the game. 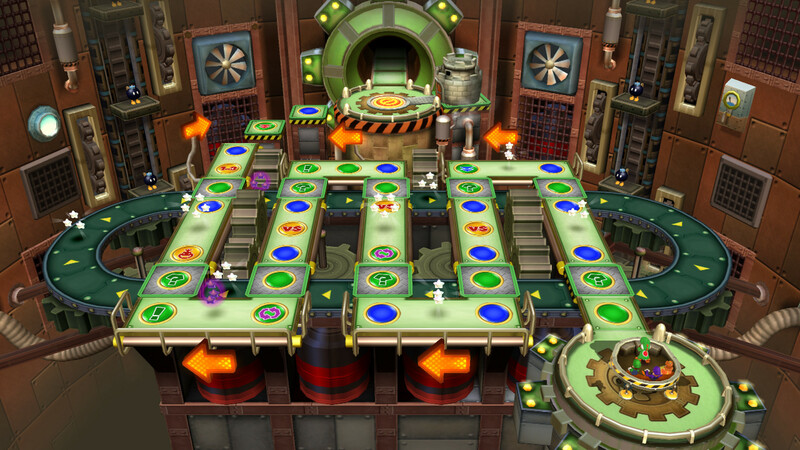 Unlike previous Mario Party games, you don’t get to decided your each and every move on the board as, instead of each character moving in different directions, you’re all stuck in one vehicle to reach your objective at the end. When it’s your turn you’re the captain and you get to decide the direction everyone will take. With this comes some strategy. Before making your move you’ll have to consider what the best outcome is for yourself in any specific turn and also how you can leave the other participants in a troubling scenario once your turn is over. It’s a game of ‘How can I screw everyone else to get more mini-stars?’. Being vindictive generally works, but it could come biting back later on. Every space has a purpose on the board. A shuffle space will shuffle the turn order. So, if you were next in line you might drop to the back of the queue. A Bowser space can give most your mini-stars to other players (among other drawbacks if you land on it) and a lucky space can grant you some good will. In turn, an unlucky space can set you back. Should you be captain you’ll gain extra mini-stars in battle or free-for-all spaces. Land on those spaces and you’ll all be thrown into the much-beloved mini-games. Thanks to the Wii remote, it really makes each mini-game quite competitive. Some games will have you holding the Wii remote on its side (as if you’ve held a traditional controller with D-Pad and buttons) while others require you to master its motion controls. There’s a huge mixture of games of which there are 80 in total. Is there a story in Mario Party 9? Yes there is, but if you’re playing it as a single-player game you’re missing the point and its… well… not very good. Instead you should take the mini-stars you’ve earned and spend them in the extras menu to unlock new vehicles and additional board (based on the Donkey Kong universe), songs and other extra bits. If you’re after instant action you can also dive right into the mini-games you’ve unlocked, instead of waiting to play it on the board game again. It took Nintendo another failed Mario Party game in Mario Party 10 to finally realise that this mini-stars thing was not working out and as result Super Mario Party returned to the big gold stars we all loved for years. Mario Party 9 isn’t a terrible game, but it’s the first game that messed with the recipe and got it horribly wrong. There are many laughs to be had with friends and family, but you won’t be coming back for another slice of cake at this party. It's the first Mario Party game that started with those dreadful mini-stars. If it wasn't for the enjoyable mini-games this could have been a real stinker.